Go out today and do something with an abundance of love! 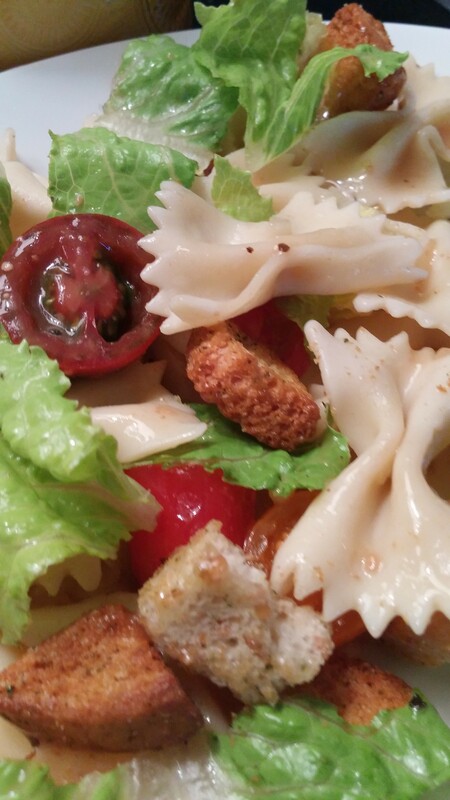 My last salad recipe for this week is one my daughter sent me. She saw it on Buzzfeed! It is another super easy recipe to throw together! Makes a nice salad to make at the beginning of the week to enjoy all week long! ENJOY! Toss the cooled pasta with the tomatoes and the chopped Romaine. Pour the dressing over and stir to combine, I don’t use a lot of dressing and then I serve it on the side in case people want more. 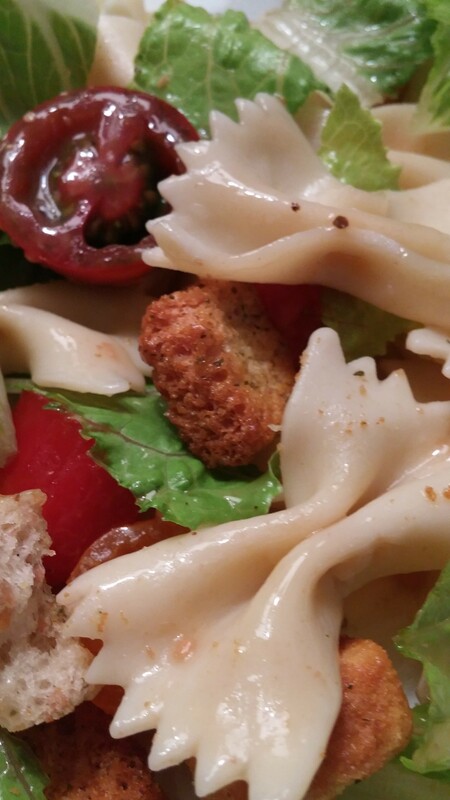 I also serve the chicken, croutons and Parmesan cheese on the side! Delicious and Easy!